She has a pure, powerful and appealing voice and a forceful stage presence to match. 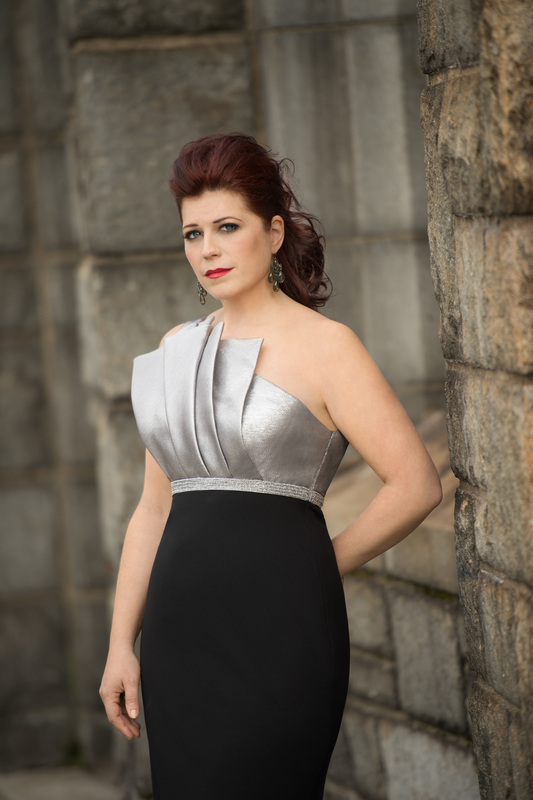 Mezzo-Soprano Blythe Gaissert has established herself as a fresh and exciting artist in great demand in the United States for opera, concert and recital engagements. This Texas native has received great praise from critics for her rich sound and intense, dramatic interpretations of operatic roles. In the coming 2017-18 season, Ms. Gaissert is creating the role of Walker Loats in the World Premiere of Mikael Karlsson's monodrama The Echo Drift with Prototype Festival in NYC, performing Hester Prynne in the Professional Premiere of The Scarlet Letter by Eric Sawyer, reprising the role of Hannah After in the groundbreaking chamber opera As One, and joining American Opera Projects for her second full season as a Resident Artist with the Composers and the Voice Series. Ms. Gaissert will also be performing with the CHATTER concert series in Albuquerque, NM and as a member of the classical alt/rock band the Knells, releases an album of all new songs Fall 2017. Soloist with the Limon Dance Company Season at the Joyce Theatre NYC WORLD PREMIERE of The Exiles by Alexandra Vrebalov. Hester Prynne in the Professional Premiere of Eric Sawyer's The Scarlet Professor, Mendelhall Center for the Arts, Smith College, Northampton, MA. Alto soloist in Handel's Messiah with The Unitarian Universalist Congregation of Shelter Rock. Walker Loats in the World Premiere of Mikael Karlsson's The Echo Drift with the Prototype Festival NYC. "Blythe Gaissert conveyed Dido's sadness ("Peace and I are strangers grown") and precipitous fall with solemn, queenly magnetism. Her voice is strong, supple, almost buttery... "
"When a performer is as magnetic and intelligent in conveying her artistry as mezzo-soprano Blythe Gaissert is, it may not matter what the selections are on the program. She makes sure to please her audience"
"....a charming mezzo with a rich well-controlled voice and personality to match. Her performance of five of Copland’s beloved “Old American Songs” showed beautifully nuanced singing, excellent diction and a nice sense of humor..."
"Blythe Gaissert fused dignity and sensuality in her Lucretia........."
"The cannibalism aria of mezzo-soprano Blythe Gaissert whetted our appetite too with her soft-edged voice. "